Welcome to the historic community of North Rosedale Park. June Day is an annual event in North Rosedale Park that signals the beginning of Summer. Continuously for 89 years neighbors and friends have gathered at the Community House for outdoor fun. Think of it as a small town founders day with activities for children and adults. 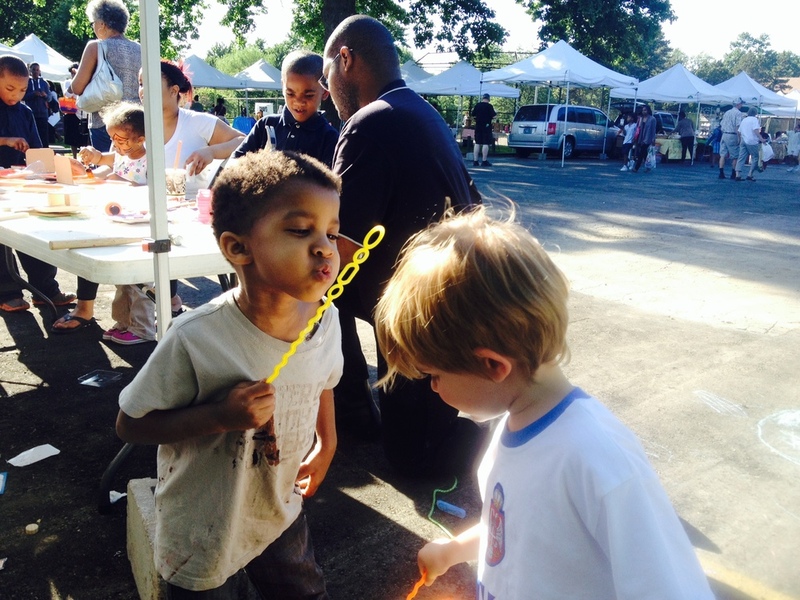 It is a way for everyone to come together and share in what we all love about our little slice of Detroit - Community! There is a parade through the neighborhood down Bretton where children decorate their bikes (prizes awarded! ), blocks have floats (decorating a pickup truck with families in the back is a favorite), and our community partners share in the festivities. 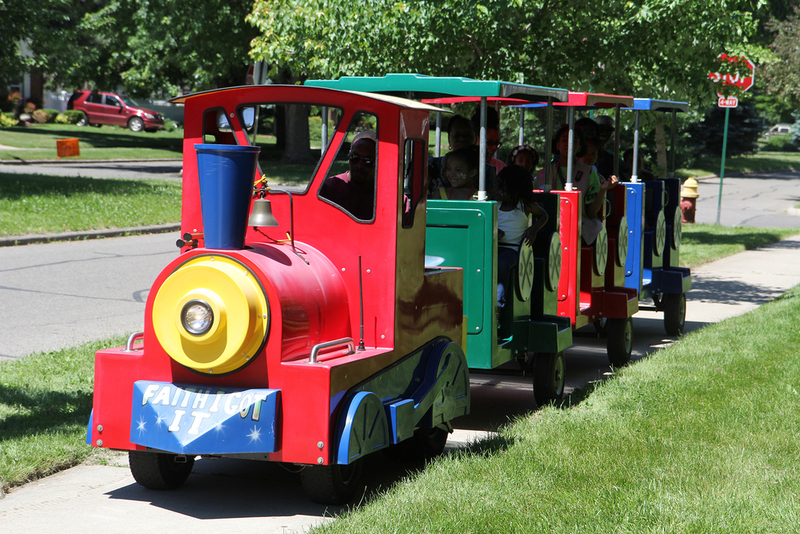 The afternoon is filled with outdoor fun with free and low cost activities. Challenge your neighbors in the pie eating contest or sack race! In the evening we will have a food trucks and live entertainment by the Detroit Social Club. Come one, come all. Consider North Rosedale Park if you're looking for not just a new home, but a neighborhood. We’re one of the top neighborhoods in southeast Michigan, known for elegant homes and great neighbors. 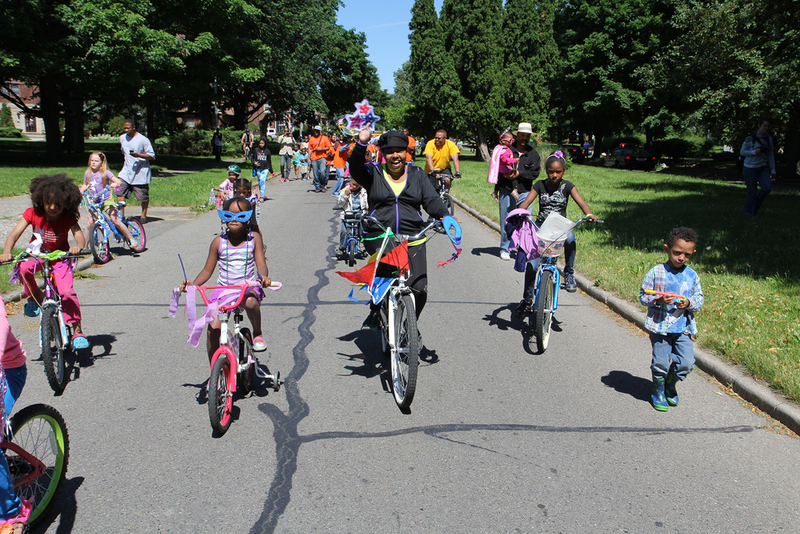 Located in the northwest Detroit, our neighborhood offers numerous activities with a focus on family and community involvement. As the only Detroit neighborhood with its own private community house and 4-acre park, our scenic tree-laden neighborhood is a safe place to call home. The North Rosedale Park Civic Association (NRPCA) is a membership organization of current and former residents and businesses dedicated to preserving the neighborhood and enhancing residential quality of life. By joining the North Rosedale Park Civic Association you can take advantage of numerous opportunities and stay up to date on the issues currently affecting the neighborhood. Annual Membership dues support the ongoing programs of the NRPCA and the operations of the Community House and Park. The stronger the membership, the greater the programs and services available for the neighborhood. As a member, you’ll learn about unique ways that your neighbors are volunteering their time to help preserve and shape the future of North Rosedale Park! The cost of membership in the North Rosedale Park Civic Association for Park Residents is $75.00 per year, or $20 per quarter. Being a member of the NRPCA entitles you to all of the things listed above and makes you an owner and contributing member of the community. Walk your Heart to Health Group, Zumba classes, Hustle, Book Club,, Martial Arts, Drama Class and more are offered at the North Rosedale Park Community House. For more information or to register for the many classes offered, please contact Program Director Gloria Goodwine at 313.971.3990 and visit the programming page at www.nrpca.org/programming. 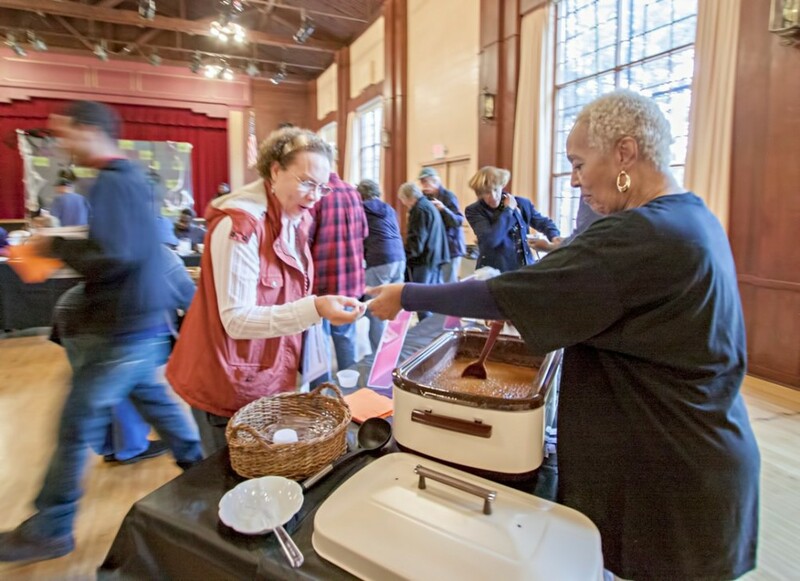 From June Day, to the Steak Roast, to Park Players performances, and everything in between, there are many are many neighborhood traditions with a focus on family and community involvement. Please visit the NRPCA Event Calendar to stay up-to-date on all neighborhood happenings and events; www.nrpca.org/calendar. The Tattler is a monthly publication of the North Rosedale Park Civic Association that is delivered to each home in the park. We welcome and encourage submissions. The author’s name, address and phone number are required for publication. The editorial staff reserves the right to edit submissions for space or for which they deem obscene, defamatory, deceptive or misleading. All articles and advertisements are due the 10th of each month. For advertising rates and policies, please contact kimberly@nrpca.org. Please submit articles to kimberly@nrpca.org. The Tattler is supplemented by the Tattler e-blast. View the most recent version below and scroll to the bottom of the page to sign up! 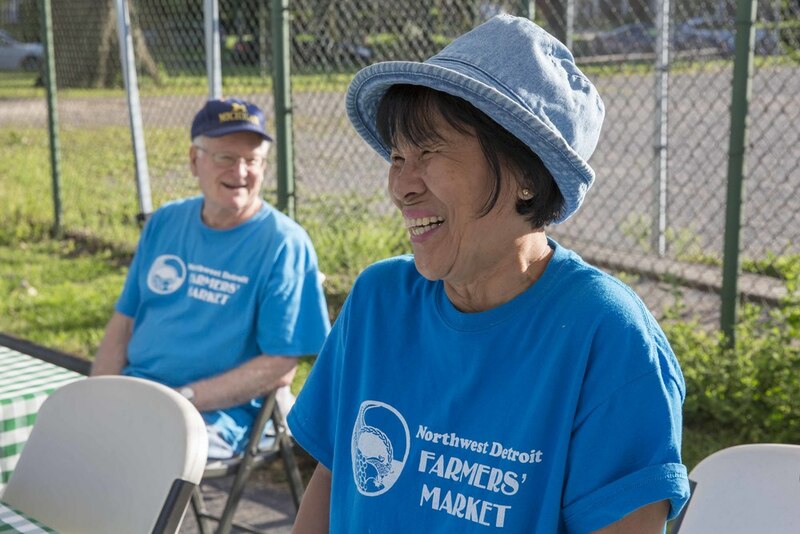 Volunteers are the engine of North Rosedale Park and their help enables our neighborhood to thrive. As a North Rosedale Park Civic Association volunteer you can choose a role that fits your time and talent. Volunteers can serve on a single project, committee or special event. Check our events page, or like us on Facebook to keep up-to-date on scheduled clean-up days or special volunteer events. If you are interested in volunteering, please click the volunteer interest form below and someone will happily contact you! You can leave additional information in the comment section below, such as specific events like "June Day" to indication special events you are interested in. Built in the 30's, the historic North Rosedale Park Community House has been carefully adapted to provide meeting space for a variety of business and social events. The Community House offers Pre-WWII charm and character for meetings, conferences, workshops, private parties and receptions. Daytime weekday rentals offer a great and affordable setting for classes and seminars. The Community House has many modern amenities, including a kitchen, audiovisual equipment, and free Wi-Fi. 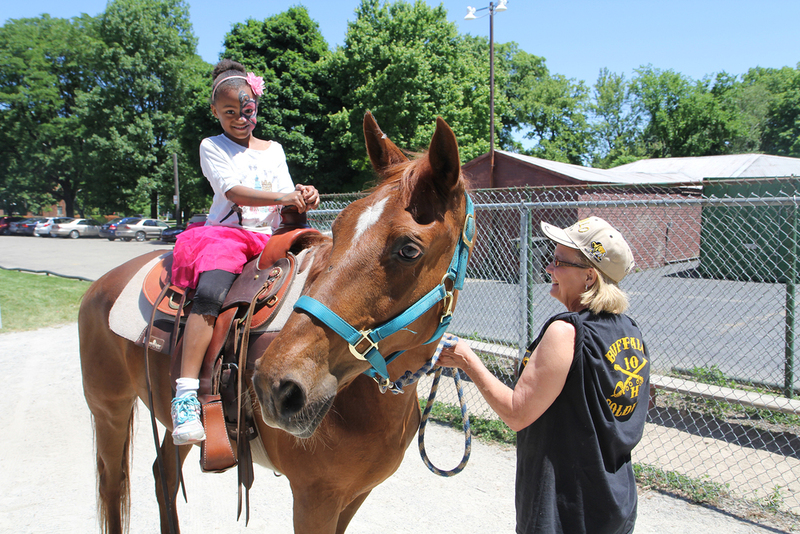 years, we see a vibrant meeting place filled with friendly faces, lively programming, and educational opportunities. Realizing this vision for the future requires an inspired effort. So we have launched The Legacy Project, a community-led initiative to reinvigorate our treasured space. The Legacy Project is a community-led campaign to preserve and enhance the North Rosedale Park Community House and Grounds for the larger Grandmont Rosedale community. Its programs and services are open to everyone. Over the last several years, more than 370 individuals, companies and organizations have supported The Legacy Project with contributions and in-kind donations totaling more than $800,000. The result is a beautiful 2300-square- foot addition to the Community House with handicap-accessible restrooms. The Community House now has energy-saving lighting, improved electrical system, acoustical panels to enhance the sound quality for performances and TDD-capability for the hearing impaired. That was phase one, now we're moving to phase two. View Phase 2 Plans and Donate!